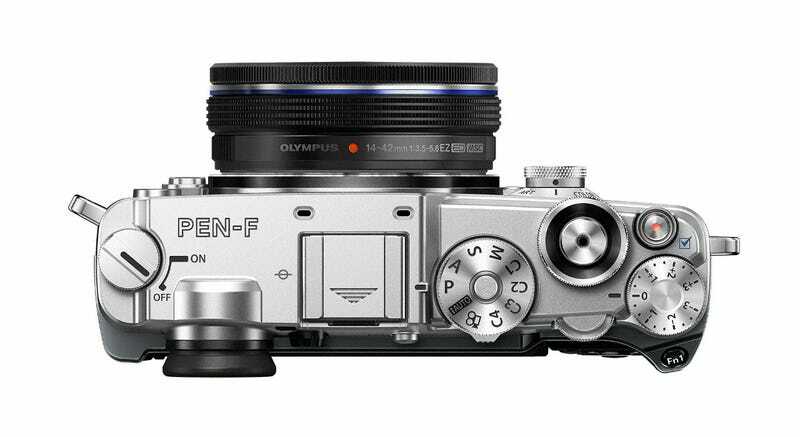 Retro camera reboots are and have been a thing for years, but oh my, this new Pen-F interchangeable-lens shooter from Olympus has my heart beating hard. 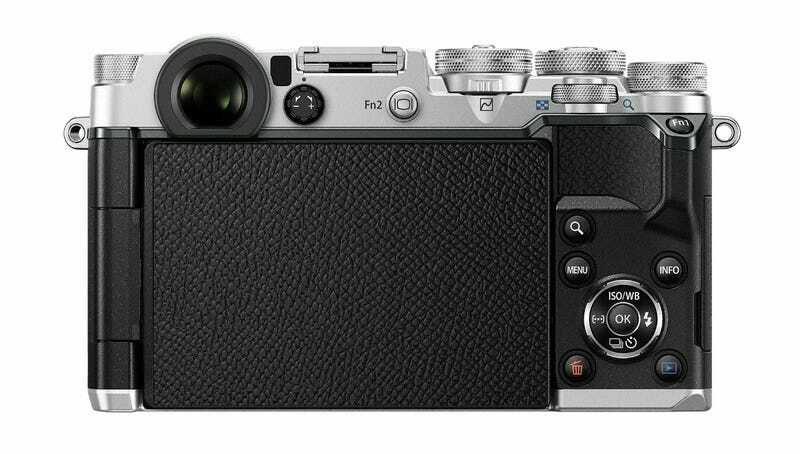 Olympus, like Fujifilm, has had a good deal of success rehashing its classic film camera designs as powerful, modern digital cameras. The company’s excellent OM-D line, and especially the top OM-D E-M1, are a joy because they combine an older manual aesthetic with great image quality and cutting edge tech. The Pen-F takes this concept to a new extreme. The camera takes its name and overall design from an old Olympus line of film cameras produced from the early-to-mid '60s. It’s got beefy manual dials, and comes available in a vintage stainless silver finish. 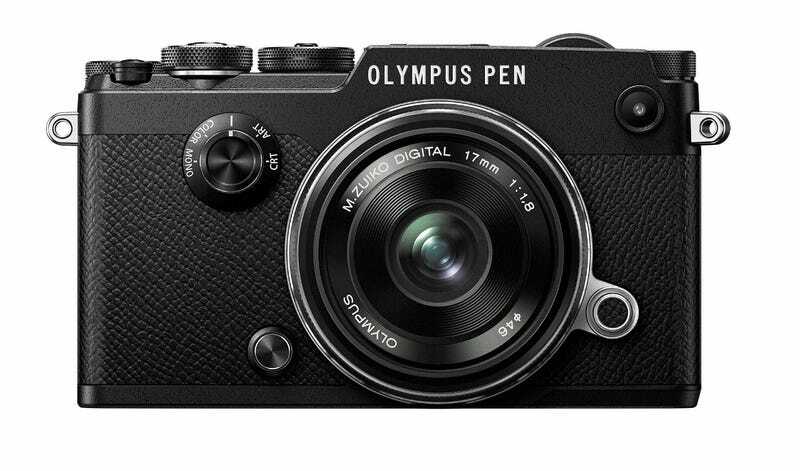 Of course, this is a camera of 2016, and it comes with loaded with many of the features we’ve grown to love about Olympus cameras in recent years. It’s got a 20.1-megapixel micro four-thirds sensor, which is capable of the high-res powers introduced on the company’s OM-D E-M5 Mark II. In this mode, the camera splices together several exposures into huge 50-megapixel images. It’s a finicky feature, but if you’ve got a tripod and some time, it’s something a more studio-orientated photographer might enjoy. To see what you’re actually shooting you can use the rear touch LCD panel, which bends every which way. Purists will also be delighted at the high-resolution 2.36-million dot viewfinder. If it’s anywhere close to as nice as the viewfinder on the E-M1, we’re in business. As I alluded before, the camera has robust physical and touchscreen controls. It’s worth zooming in here on the Creative Dial on the front of the camera, which allows you to quickly switch between highly customisable shooting mode presets for arty features like monochrome shooting settings, colour profiles, and yes, gauzy Instagram-like filters. Olympus has included some of these features on other cameras, but it’s going all in on the in-camera software processing to make images look funky. I’ve said before that I prefer to get a nice sharp, high-quality image and edit it in post, but it’s hard to knock this feature without actually trying it. I suppose if it’s possible to get good in camera processing, you might as well? Of course, the Pen-F is a micro four-thirds camera, so it’ll work with the tons of lens available for that mount system. And on a final note, I should point out that like earlier Olympus shooters, the Pen-F has the company’s great 5-axis stabilisation, which allows you to shoot at slow shutter speeds without any shake. It’s saved many a shot for my unsteady hands. 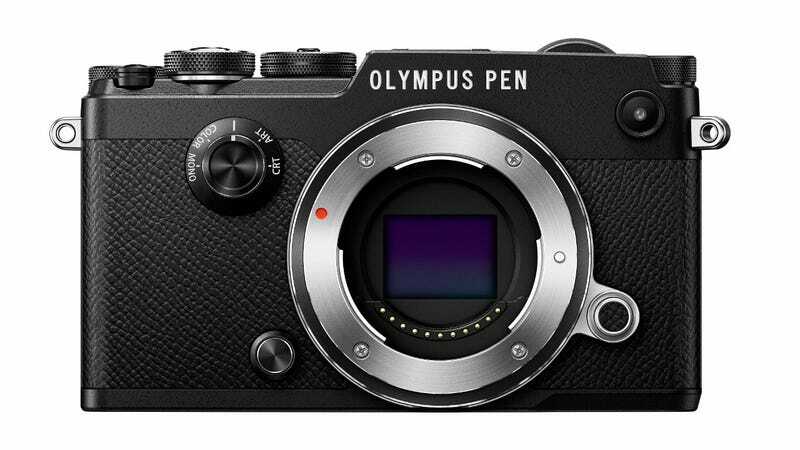 The Pen-F ain’t cheap — it’ll cost £999 for the body alone when it drops in March. That’s about the street price of the E-M1 these days, so if you’re in the market for a hot, powerful camera, you’ve got a tough choice to make. This new shooter errs even harder on the side of the classic range-finder aesthetic, whereas the E-M1 is a little more professionally laid out. Both will make you happy.